I’m trying this website, Frame.io for a video project and my colleagues and I are thrilled with this! We are able to upload our video edits on the website and share it with our clients. 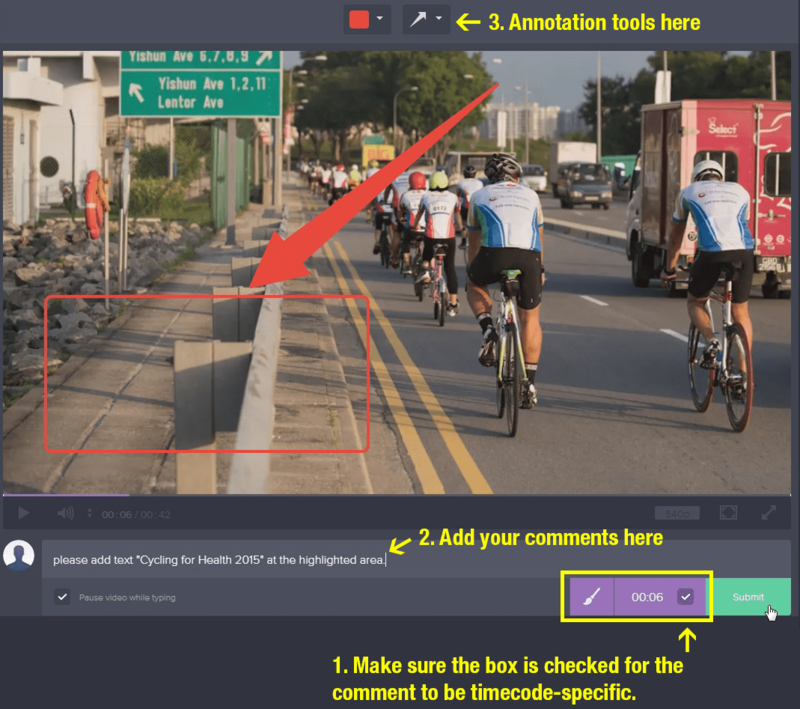 The clients can create annotations and time-code specific comments while viewing the video, which we all think it’s pretty cool. Frame.io does show a tutorial video on how to use the website, but for clients’ sake, I figured to create an instructional graphic on how the interface works. I hope this graphic helped you too.